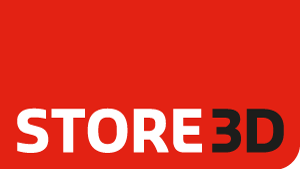 For years, Store3D has partnered TUI, the Netherlands (formerly Arke) in the realisation of travel stores. In 2014, TUI decided to raise the concept in use at that time in its travel stores to a higher international level. The most important starting point in this respect was to create a unified international branding. The conversion of the Arke orange logo into the international TUI logo is a clear example of this. The basis of the concept, in which hospitality plays a central role, is used in all TUI’s marketing. The same travel and brand experience has been created for all TUI’s travel stores, aircraft and holiday accommodation. Together with INK Associates London and Studio Linse Amsterdam, Store3D translated the unified international branding principle into a commercial application for use in TUI’s travel stores in the Netherlands. We combined ambience, materials and technology. The choice of subdued colours and well-matched materials create a comfortable ambience. The travel stores are also divided into separate zones that provide different experiences. The audio-visual company First Impression is working continually on improving the content. In 130 working days, we converted 130 travel stores to the new concept. An average of five stores per week! This large-scale project showcased Store3D’s management abilities. Using a formula manual (listing the key values and details of the concept), our carefully assembled team assumed responsibility on TUI’s behalf for widely diverse tasks ranging from concept development, preparing drawings and obtaining permits to turnkey delivery, management and control. So what do customers notice about the new TUI travel stores? Besides the pleasant atmosphere, a large amount of attention is paid to ‘discovery’ in each store. Customers can use the large touchscreens that we installed to search for their perfect holiday destination on their own or with the assistance of a TUI employee. In addition, a zone has been set aside in each store where customers can obtain personal advice before booking their holiday. This approach, in which interactivity is used to supplement or replace the traditional holiday brochure, is completely new in the travel industry. Store3D is proud to have played a leading role in the development of the new travel stores.